The India captain scored 104 from 112 balls as the visitors chased down an imposing 299. 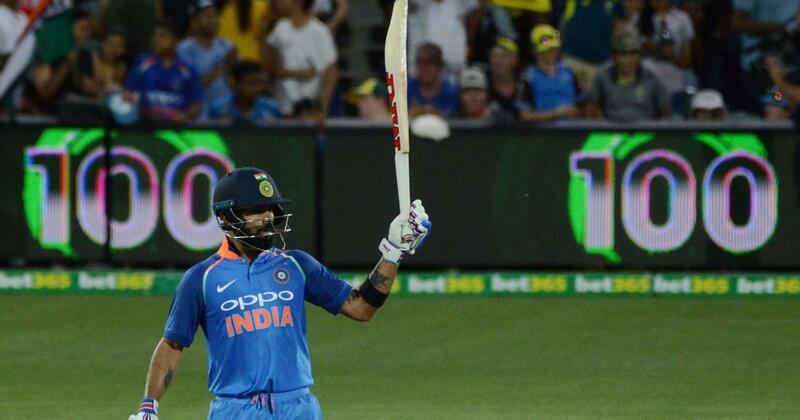 India captain Virat Kohli, after getting out for a duck in the first One-day International, was in cruise control in Adelaide, which continued to remain one of his favourite hunting grounds in the world. Kohli is getting ever so close to Sachin Tendulkar’s all-time record of 51 ODI tons. Kohli, along with former captain MS Dhoni, were in cruise control rotating strike and picking the odd boundary with ease. The 30-year-old got to his fifty in 66 balls and accelerated as the asking rate was climbing. Dhoni and Kohli put on 82 runs for the fourth wicket. Kohli changed gears as he hit two immaculate sixes through pure timing, and reached his hundred off 108 balls. It was his sixth ODI hundred against Australia. It was classic Kohli, manipulating the field and running hard between the wickets. 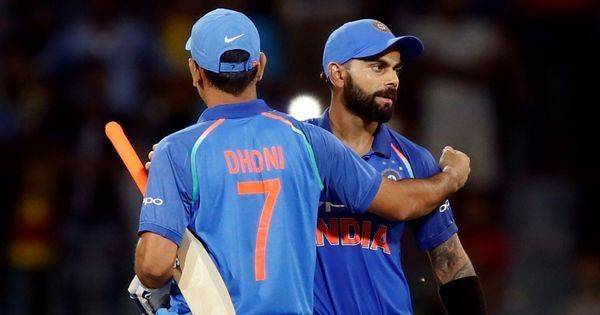 The chase master, though, could not take his team to the finish line this time but Dhoni (55 off 54) and Dinesh Karthik (25 off 14) rose to the occasion with an unbeaten 57-run stand off 34 balls. The turning point came in the 44th over though, when Australia masterminded Kohli’s dismissal through some clever field placement in the deep. He holed out to Maxwell off Jhye Richardson (1/59).